After announcing its flagship smartphone, the One M8 in March this year, HTC has announced the mini version of it today. The HTC One Mini 2 is a mid-range Android smartphone that comes with a 4.5 inch HD screen, quad-core processor, 1GB of RAM, 13MP camera and a 2100 mAh battery. It misses the Duo Camera setup which is found on the One M8 but shares the same metal build with a smaller physical footprint due to its relatively smaller screen. It comes with the latest version of Android (4.4 KitKat) and Sense UI 6.0. As opposed to 4MP UltraPixel camera used in the HTC One M8, the One Mini 2 comes with a traditional 13MP BSI sensor camera and a 5MP camera with BSI sensor on the front for better selfies. 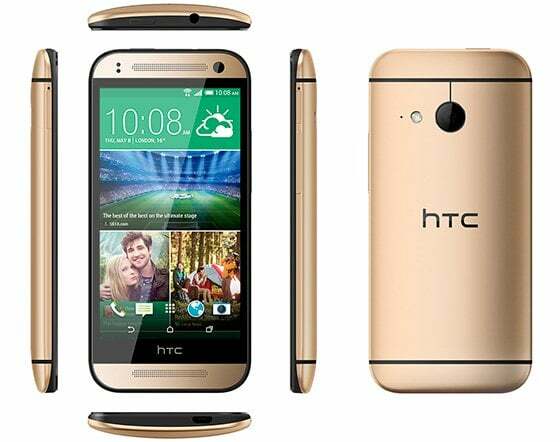 The HTC One Mini 2 comes in gunmetal grey, amber golden and glacial silver colours options. The pricing details will be announced during local launch events. It will be launched in Europe, Africa, Middle East and North Asia by June 2014.